Business Funding Options, open to you and your business. Having the funds available when you need them is the life blood of any business. Cash flow restrictions are the most compelling factor to consider when running and more importantly growing your business if the life blood to any business. The problem is that there are a number of methods of raising funding for small businesses and it’s not always easy to decide which is the most appropriate and practical for your needs. As a leading alternative Funding Options provider Invoice Funding can help you source the best Factoring deals on the market today. Invoice funding are one of the UK’s leading funding specialists at delivering business funding options to your business. We’ve put together a short guide to explain about each of the six funding options that may be open to you and also to show you the main advantages, and disadvantages, of each one. An obvious choice is to apply to your bank to set up an overdraft or to increase the limit of one that you already have. The money you need will be instantly available and there will be no restrictions on how you use it. However there are some disadvantages to going down this route, as interest rates on overdrafts can be high and they are really only meant to be short-term solutions. Also you are only able to apply for an overdraft from the bank that holds your business account, so there’s no opportunity to shop around for a better deal – plus the bank is free to cancel an overdraft and ask for the money back at any time. Business loans come in two different options, secured or unsecured business loans, these are a very popular way of raising finance for small businesses, for a number of reasons. Firstly repayments stay the same over the term of the loan, so it’s quite straightforward to budget for their repayment. It also means that if you’re using the loan to pay for equipment you can tie the loan in with its lifespan. However problems can arise if you find yourself in the situation of wanting to pay the loan off early as there may be a financial penalty for doing this. 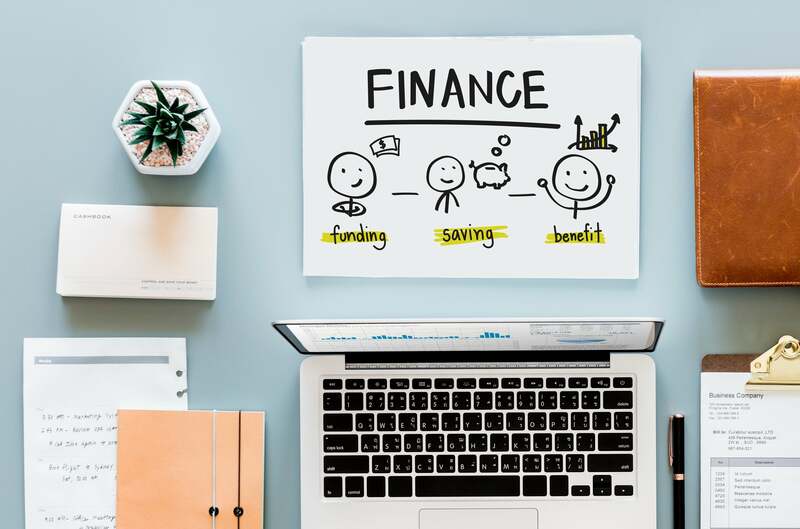 The rise and rise of social media has helped to popularise a whole new method of business finance over the past few years. In peer-to-peer lending individuals who want to see a better return on their investments than putting them in a bank would achieve lend their money to businesses instead. For the borrower this has the advantage of usually having no minimum amount they can raise and the interest rate is also usually lower than a bank’s or building societies’. There will be a fee to pay to the peer to peer lending company you use but this may well be offset by the savings you’ll make on your repayments. MarketInvoice is a member of the Peer-to-Peer Finance Association and is backed by leading European venture capital fund Northzone (invested in Klarna, iZettle and Trustpilot) and private equity group MCI Capital (also invested in iZettle, Azimo and Gett). Merchant cash advances, Business Cash Advance, Merchant Loan Advance are a few names this innovative product in alternative business funding options is called. It is available to the UK business market via a number of cash advance lenders. The concept has only existed for a few years, but it’s already proving very popular with retail businesses and the leisure sector. A merchant cash advance uses your card terminal to ‘secure’ lending. This funding option is perfect for businesses without many assets, but who have a good volume of card transactions every month. Repayments are then taken as a proportion of your revenue, making it a quick and easy funding solution for many SMEs. One area of business funding options that is often overlooked is invoice finance and invoice discounting. This is unfortunate as it’s one of the most practical and effective ways of raising money without having to pay interest. No need for business plans or income projections as this is an advance against invoices that have been raised. That’s because all you are effectively doing is getting paid by the invoice factoring funder soon as you invoice them. By getting paid immediately this means that your cash flow remains healthy and you have the capital you need to run and develop your business. You also have the funding options of continuing to issue invoices and chase up payment yourself or of handing it all over to the funder. This allows the freeing of a sales ledger clark from chasing outstanding invoices. By doing this it allows you to concentrate on making your business a success. Need to understand your Funding Options? Should you have a funding options need for your business we are happy to talk them though with you. To get started and receive free advise from one of the United Kingdoms largest Invoice Factoring Finance Broker, simply complete the online enquiry.